The image of the Piri Rei's map was scanned from the frontpiece of a first edition of Hapgood's Maps of the Ancient Sea Kings . It is included here for non-profit archival and research purposes only. Maps of the Ancient Sea Kings, by Charles Hapgood. When the Sky Fell: In Search of Atlantis, by Rand and Rose Flem-Ath. Hamlet's Mill, by by Giorgio De Santillana and Hertha Von Dechend. Most theories about ancient unknown civilizations are based on absolutely no physical evidence, usually just hearsay and speculation. What really would shake the basis of our knowledge of history would be an actual artifact. This probably wouldn't be something spectacular like finding a sunken city in the Atlantic, or armor-piercing bullets embedded in a dinosaur skeleton. It would probably be something that only an expert in the field would recognize as anomalous. More likely, this artifact would be a document or tradition from the past which reveals a deep understanding of some scientific fact recently discovered. This could be a description of the structure and function of DNA, knowledge of astronomy or physics which is only known to modern science . . . or accurate maps of the earth drawn long before the "Age of Exploration". The Piri Re'is map appears to be just that artifact. The Piri Re'is Map is only one of several anomalous maps drawn in the 15th Century and earlier which appear to represent better information about the shape of the continents than should have been known at the time. Furthermore, this information appears to have been obtained at some distant time in the past. Piri Re'is, Ptolomy (2nd Century A.D.), as well as Mercator and Oronteus Finaeus, well-known 15th Century map-makers, included the traditional southern continent in their world maps, as did others. Antarctica was not discovered until the 19th Century, and it was largely unexplored until the middle of the 20th. This is just the start. Anomalous maps also show the Behring Strait as linking Asia and America, river deltas which appear much shorter than they do today, islands in the Aegean which haven't been above water since the sea-level rise at the end of the ice-age and huge glaciers covering Britian and Scandinavia. Long dismissed as attempts by cartographers to fill in empty spaces, some of the details of the old maps look very startling when correlated with modern (very mainstream) knowledge of the changes in the Earths' geography in the geologic past, particularly during the Ice Ages. The Piri Re'is map is most interesting because of the attribution of the source of its information, and the extraordinary detail of the coastal outlines. 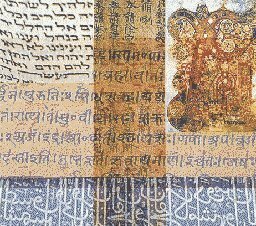 The Piri Re'is map was found in 1929 in the Imperial Palace in Constantinople. It is painted on parchment and dated 919 A.H. (in the Islamic calendar), which corresponds to 1513 AD. It is signed by an admiral of the Turkish Navy named Piri Ibn Haji Memmed, also known as Piri Re'is. According to Piri Re'is, the map had been assembled from a set of 20 maps drawn in the time of Alexander the Great. This map and others were analyzed by Charles H. Hapgood and his graduate stutents. Hapgood was a historian and geographer at the University of New Hampshire, in his book Maps of the Ancient Sea Kings (1966). Only the conclusions of this book are sensational; for the most part it is a technical monograph on the history and geography of the anomalous maps, employing spherical trigonometry to associate map features with actual geographic locations. This book has recently been republished, and we highly recommend it. The conclusion that Hapgood reached was that a civilization with high seafaring and mapping skills surveyed the entire earth in the ancient past. They left maps which have been copied by hand through many generations. The Piri Re'is map is a patchwork which has gaps (most notably the Drake Passage between South America and Antarctica) which can be explained as non-overlapping areas between the source maps. Maps of the Ancient Sea Kings and Hapgood's other book The Earth's Shifting Crust , in which he advanced a theory of polar shifts, are controversial, and earned him the scorn of offical academia. More evidence has appeared in recent years. Hapgood may yet be vindicated (at least his guess as to the signficance of the anomalous maps). 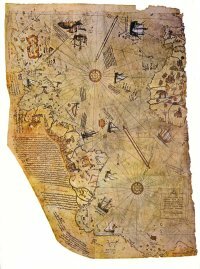 The Piri Re'is map is one of the cornerstones of the growing body of evidence for an unknown Ice Age civilization. Along with this we can include the book Hamlet's Mill , by De Santillana and von Dechend (1969), and the works of Graham Hancock. One striking thing about this map is the level of detail of the coasts and interiors in South America. Although the scale is somewhat off, a long, high mountain range is shown as the source of the rivers flowing to the coast of South America. However, the best-known feature in the Piri Re'is map (and other pre-modern maps) is the Antarctic coastline. In Hapgood and others' opinions, this represents the outline of the coast of Antarctica without glaciers. Our modern knowledge of the coastline under the ice was obtained using seismic sounding data from Antarctic expeditions in the 1940s and 50s. Sonar is one way to map the coast under the Antarctic glaciers. The other way would be to have surveyed them when they were ice-free. According to Hapgood, who based the claim on 1949 core samples from the Ross Sea, the last time the particular area shown in the Piri Re'is map was free of ice was more than 6000 years ago. More recent studies show that this may be off by a couple of orders of magnitude. In any case, this geography should have been unknown to the ancients. If this is correct, there are some big mysteries to explain. A number of writers have rushed in and attempted to do just this. One school of thought about the Piri Re'is map is the 'Atlantis in Antarctica' thesis. The chief proponents of this are Rand and Rose Flem-Ath in their book When the Sky Fell , though there are others. The Flem-Aths buy into both Hapgoods' Sea Kings and Polar shift thesis. In the latter, Hapgood claimed that the inclination of the Earth's axis of rotation shifted suddenly in the year 9,500 B.C. causing Antarctica to move hundreds of miles to the south. This transformed its climate from semi-temperate to freezing. In contrast to the Sea Kings hypothesis, there is no evidence that a rapid polar shift actually occured at this time and much negative evidence that it didn't. There is no scientific explanation for a mechanism which could cause such a global transformation in a matter of hours without completely destroying the crust of the planet. A planetary collision would be required, of the sort that has not occurred since the early period of planetary formation. If such a collision occured in 9,500 B.C., it is fairly certain that all life on Earth would have been wiped out, which is obviously not the case. While it is not impossible that some instability in the planet could cause the Earth's axis to change its inclination, this would not occur overnight. Additionally, a polar shift would probably leave an obvious mark in the geomagnetic strata found in sea floor cores, which is not the case. Much has been made of Einstein's endorsement of Hapgood's polar shift theory. This proves nothing, since Einstein was not a geologist. Furthermore, although Einstein's theories have stood up to rigorous experimental and observational evidence, it's important to note that he was a human being and wasn't always right. Part of Einstein's greatness was his ability to admit his errors. In any case, the Flem-Aths propose that this shift destroyed a hypothetical Antarctic civilization, located somewhere in the present-day Ross penninsula. They attempt (with mixed success) to relate this to Plato's Atlantis. Unfortunately, proving this would involve doing archaeology under an ice sheet thousands of meters thick. This is an excellent example of 'extraordinary claims require extraordinary proof'. One subconscious influence on this may be fantasy writer H.P. Lovecraft's Cthulhu mythos, which places the abode of the Ancient Gods, R'lyeh, in Antarctica. Lovecraft's mythos is completly fictional, even if it has resemblances to actual mythologies. And in this country it seems that there are white-haired monsters in this shape, and also six-horned oxen. The Portuguese infidels have written it in their maps. . . . This doesn't invalidate the startling landforms, but does indicate that whoever wrote these notes (presumably Piri Re'is) never actually visited Antarctica. Non-skeptics might argue that when the source map was surveyed there could have been 1) large snakes, 2) unknown varieties of land mammals, as well as a 3) "very hot" climate in Antarctica, but there is no physical evidence that this has ever been the case. This also does not explain the other fanciful illustrations and notations on the map, including a sketch of a red-haired headless man (with his face on his chest) in the Andes area. This takes us out of the realm of the possible into the fantastic, a line which Hapgood was careful not to cross, at least in Maps of the Ancient Sea Kings . Text on this page is © Copyright 2001, J.B. Hare.